We are happy to share some brand-new educational resources for students and teachers created by WWF. The below text and photos were produced by WWF to inform about Our Planet and the ways that students and teachers can participate and use the educational materials. WWF’s 2018 Living Planet Report revealed the scale of human impact on our precious natural world. Our Planet, launched on Netflix earlier this month, takes the story further. The eight-part series, voiced by David Attenborough, reveals the natural wonders that remain, and explores what we need to do to ensure a future in which nature and people thrive. Today’s young people will be the stewards of our planet in the years to come, and the future of all life depends on them gaining the knowledge, skills and passion for nature necessary to transform humanity’s relationship with the natural world and build a more sustainable future. With just 10 years to bring huge changes to lifestyles and business practices worldwide if we are to avoid global environmental collapse, young people will be faced with a turbulent and challenging world as they move into adulthood and make decisions about their own personal and professional futures. Their actions and voices in support of the changes that are needed to save the planet will be pivotal factors in whether the change is achieved in time, and in a positive way for those living through this transition. The School Strike for Climate movement has shown how powerful youth voice and action can be, and how urgently young people feel change is needed. It is vital that young people are given access to the most current information and evidence about the plight of our planet, so that they can direct their energies towards making the changes that will make a positive difference to the future. WWF has created a range of resources and activities for schools and young people that build on Our Planet and ensure that the important subjects and messages in Our Planet can be accessed by a wide spectrum of young people around the world. We are empowering educators in primary and secondary schools to draw on the incredible wealth of free high-quality video resources on ourplanet.com to delve into the key issues of our time with their students. We are galvanising schools to confront and discuss the state of our planet as a community through assemblies and screenings. We are prompting young people outside school to pay attention to the natural world and ‘tune in’ to the reality and importance of biodiversity in their everyday life through our innovative nature ID app ‘Seek’. Last but not least we are supporting and enabling a growing movement of young people who want to play an active role in creating the future they want, but need information, skills and resources to do so. Bring the story of our planet to life for young people with the spectacular videos and interactive explorable globe available for free on www.OurPlanet.com. Take inspiration and guidance from the Our Planet educator guide, which includes ideas for sparking ideas, discussion and engagement with videos. Present to the whole school or even the wider community with the using the Our Planet Assembly Pack. Access free classroom resources and educator guides for primary and secondary schools to build a deeper understanding of our living planet, the links between our lifestyles and the health of the natural world, and the actions needed to bring our planet back from the brink. Contribute to global citizen science when the Our Planet Biodiversity Action toolkit launches in June, and join a worldwide network of youth-led biodiversity action projects. Put young people in the driving seat by running an Our Planet’s Future Summit for young people (11-16) and support young people to come up with a model for a sustainable future for our planet. FEE is partnering with Inner Voice Artists (IVA) to support YouthMundus - a new, environmentally conscious global short content and music festival, specifically designed for the world’s youth and inspired by the SDGs, which is taking place 14-24 November 2019 in Rome, Italy. The festival is organised by Inner Voice Artists (IVA) - a global media and entertainment company whose mission is to inspire and help create more opportunities for underrepresented voices within the areas of film, television, music, commercials and endorsements. The company’s goal is to ensure equal representation, regardless of race, gender, ethnicity, sexual orientation, religion, nationality, social status, age or language. The three educational programmes of FEE (YRE, Eco-schools and LEAF) will assist the development of different festival activities, seminars and workshops related to education for sustainable development and will help encourage people to take environmental action during the festival. YRE students will also participate in the festival where they will do interviews and report on the different events through articles, photos and videos. The YRE Hub is an open space for YRE Students and Alumni to share their inspiring stories and showcase their work within the fields of sustainability and environment. It is also a place to find inspiration, express opinions, and connect with others. 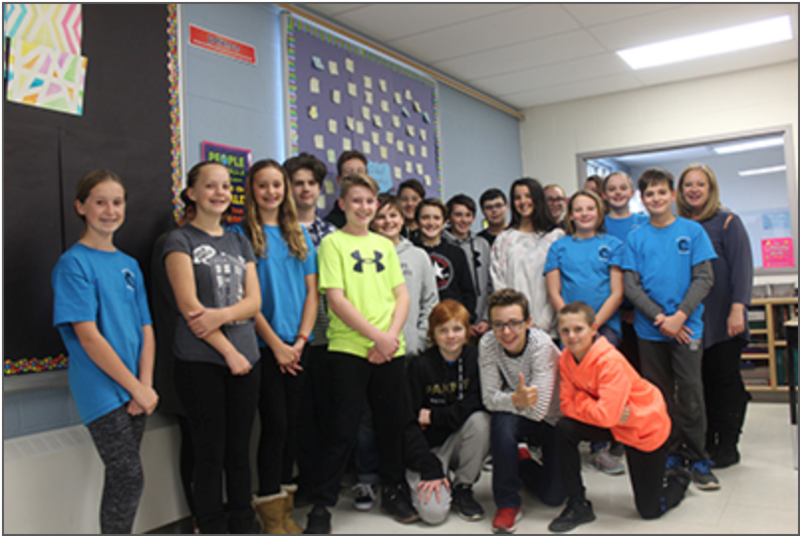 We encourage students to share stories that are positive, constructive, well-researched and that inspire people to take action. It can be articles, photo stories or videos about local environmental issues, different SDGs, personal experiences as YRE or any other story that in some way contributes to Education for Sustainable Development (ESD). We want to keep it open, positive and inspiring! How to publish a story on YRE Hub? YRE Students and Alumni who want to publish a story can contact their National Operator and ask for the log-in details to the platform. They can then follow this step-by-step guide to share their story with the world. We hope YRE Students and Alumni will welcome this new opportunity to share their work and help make it a success! YRE International has formed a partnership with the non-profit association Little Citizens For Climate (LCFC). LCFC is affiliated to the federation of clubs for UNESCO and is also collaborating on a national level with our FEE member Teragir. The partnership will provide YRE students who are particularly interested in and concerned about climate change an additional platform to showcase their work. The below paragraphs were written by LCFC to inform about the association and to explain how to participate. Children, and in particular those who live in the countries that are the most threatened by global warming, are heirs of an alarming ecological situation. We want to offer these children a space where they can express themselves, exchange and take action in order to give them a means to defend their rights, make their voices heard and take initiatives. We encourage teachers, monitors, educators and parents who are interested in helping with this initiative to assist our children in creating a project relating to the current environmental urgency. With the authorisation of their legal guardians, each step of the project should be filmed. We will complete the video editing and broadcast it on the following YouTube channel: Little Citizens for Climate. Projects can be done individually or in collaboration with other groups and in any country or language. The children define themselves as an “Ecological Brigade” whose goal is to educate the adults. At the same time, each child will have the chance to meet other children from around the World under the supervision of young Ambassadors. These Ambassadors, ages 12 to 18, are particularly motivated and have a longstanding involvement in the defense of the Environment. They are dedicated to informing the younger children, empowering them and helping to motivate them in taking their own initiatives. Our server is equipped with an automatic translation system so that language will not be a barrier in communication between the children. The environmental cause is universal. At LITTLE CITIZENS FOR CLIMATE, we have noticed that existing pedagogical resources are created by adults, for children. However, we believe that cooperative learning is the best way for children to acquire a solid knowledge base. With their own words, approach and sensitivity a child will be best suited to find ways to relate to and communicate with peers concerning these topics so that, together, they can find solutions that are meaningful and accessible to them. Today’s children are tomorrow’s adults and,through their role as Little Trainers on our website,they will be able to prepare for the challenges they will have to face in the future. The future of all living things is in their hands since the adults have failed to do their part. You can send us your videos with the topic of your choice as long as it respects the following criteria: it has young people as the main actors and it concerns the environment. We will take care of the editing and the writing of subtitles for the videos for you. You can subscribe to our YouTube channel in order to stay updated on our latest broadcasts and help us share our channel and videos to children around the globe. You can help us connect with other organizations or project leaders that may be interested in developing a partnership. You can join our association. The below article was written by Litterati and shared here as an inspiration for schools and students who want to combat litter and help clean their communities. Our planet faces many environmental problems. It often feels overwhelming and hard to know how we can make a difference. Well here’s one way you can. Join the Litterati - a global community that’s cleaning the planet - one piece of litter at a time. This mobile app (iOS & Android) allows anyone to identify, map, and collect litter in their community. Litterati has launched an Educational Program that engages students, collects data, and drives environmental action aligned with 7 of the 17 United Nations Sustainable Development Goals. Litter is tangible, approachable and easy to understand. 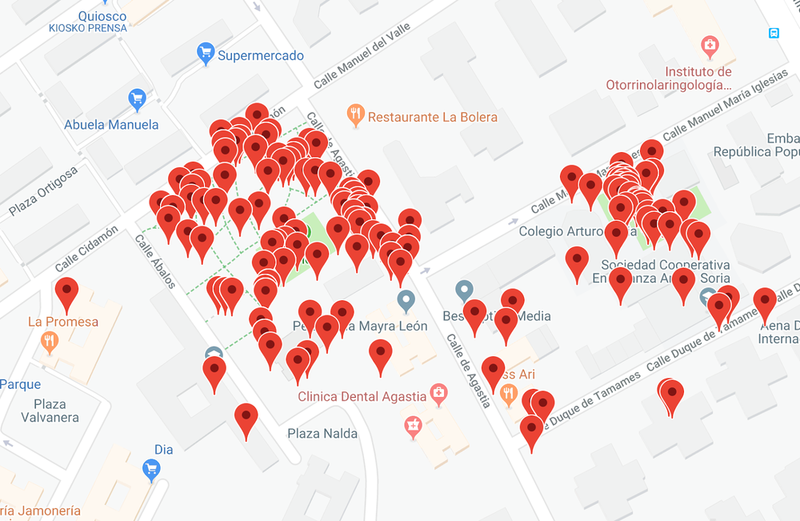 Litterati’s Educational Program provides a service-learning model that involves students in a range of experiences which benefit their community, while advancing their classroom skills. The program empowers them to build a more sustainable planet. Each photo is full of data. Geotags map problem areas. Timestamps indicate when we see specific types of litter. And tags identify the most commonly found brands and products. This data can then be used to influence product innovation, sustainable packaging, and educating consumer behaviour. We all have a role to play. Litterati has been featured at TED, is supported by the National Science Foundation, and in partnership with the United Nations Environment. This year Young Reporters for the Environment (YRE) celebrates its 25th anniversary as an international programme run by Foundation for Environmental Education (FEE). In 1994, Luxembourg became the first country to officially implement the YRE programme and today it engages more than 350.000 young reporters in 38 countries across the world. ”YRE is an absolutely fantastic programme because it not only involves youth in important environmental and sustainable issues, but it also gives them tools that enables them to present news in a structured and knowledgeable manner. In this way, YRE provides the path from critical thinking to critical expression.” says Daniel Schaffer, CEO of Foundation for Environmental Education. The Young Reporters for the Environment programme aims to empower young people aged 11-25 to take a stand on environmental issues they feel strongly about and to give them a platform to articulate these issues through the media of writing, photography or video. ”The past 25 years, YRE has become perhaps more relevant, as the world’s environmental reality has become more dire, and a war on science and on truth has surfaced. 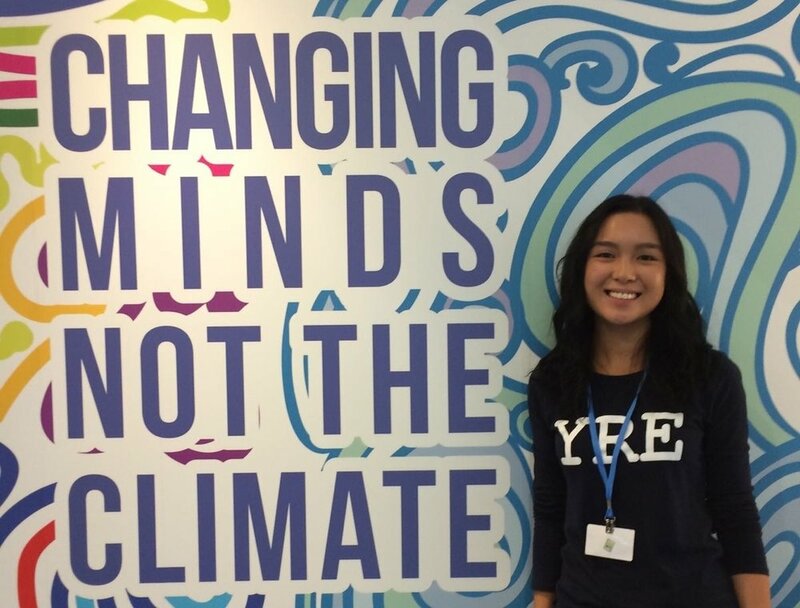 By continuing to train young minds to think critically, act locally, and engage globally, YRE continues to plant a powerful seed for tomorrow, spreading knowledge through the many young influencers coming through its ranks, from all over the world." says P.J. Marcellino, filmmaker, YRE Jury member and former YRE student. YRE’s 25th Anniversary will be celebrated throughout 2019 with different activities. As part of this, a special 1-minute Video Competition was launched. YRE students and Alumni from around the world have submitted videos that aim to reflect the essence of the programme. A total of 25 videos have been selected and will be shared on social media throughout 2019. The top 3 videos will be awarded by the end of the year. This month a new international YRE Blog / Press Corner will also be launched. It will function as an open platform for YRE Students, Alumni and the YRE Network to share their stories on sustainable and environmental issues. The platform is meant to serve as a press corner where inspiring articles, videos, and photo stories will be available for the wider public. “Both the competition and the blog are meant to give YRE students more opportunities to express their opinions and show off their creativity and passion for the environment.” concludes Malgorzata Luszczek, International YRE Director. The Young Reporters for the Environment programme aims to empower young people aged 11-25 to take a stand on environmental issues they feel strongly about and to give them a platform to articulate these issues through the media of writing, photography or video. The programme is based on a four-step methodology which seeks to develop students’ critical thinking and expression, creativity and leadership skills. Every year the top YRE investigations have the chance to participate in the annual YRE competition and to be assessed by professional juries on national and international levels. The programme also gives Young Reporters the opportunity to participate in international environmental conferences to further develop their skills and network. With members in 76 countries we are the world’s largest environmental education organisation. Through our five ground breaking programmes, we help communities realise the benefits of sustainable living. Recognised by UNESCO as a world leader within the fields of Environmental Education (EE) and Education for Sustainable Development (ESD). To celebrate YRE’s 25th Anniversary, a special 1-Minute Video Competition was launched. YRE Students and Alumni from around the world have submitted videos that aim to reflect the essence of the programme. A total of 25 videos have been selected and will be shared on the YRE Facebook page throughout 2019 and three winning videos will be found by the end of the year. The 25 videos will be published on the YRE Facebook page in random order. The first video will be uploaded on the 23rd of January 2019 at 15:00 CEST. After exactly 12 days, the number of likes will be noted and another video will be uploaded and so on, until all 25 videos have been published. The video that receives the most likes on Facebook will receive 12 points, the second-most liked will receive 11 points and so on. Only likes on the original post uploaded by YRE International will be counted so remember to visit the YRE Facebook page. You are highly encouraged to vote for videos that have not been made in your own country. Once all the videos have been published, the YRE National Operators will be given the opportunity to vote. They are free to give 1-12 points to any of the 25 videos - except videos from their own country. In the end, the 3 videos with most points will receive 1st, 2nd, and 3rd place awards. Many congratulations to all of the nominees! We look forward to sharing your videos throughout 2019! Slovakia: YRE Slovakia: We're going further! Six inspiring young people got the unique chance to work as Young Reporters at COP 24 in Poland last month. All of them found the conference to be inspiring, educational and a little overwhelming. Nevertheless, they did an amazing job conducting interviews, attending sessions and representing the YRE programme at this highly important conference on climate change. Below are the personal accounts of three of the participants, Martina, Wesley and Kristin, who all look back at the COP with gratitude and renewed inspiration. Visit Exposure to see all the articles and interviews created by the Young Reporters during COP 24. I went into COP24 anxious, nervous and on edge. I came out of COP24 ecstatic, enriched and fulfilled. COP24 was easily one of those priceless experiences that you can never really replace. It was a week filled with knowledge sharing, opinion discussing, and idea shaping. And it was only possible through the active participation of each of the 20,000 observers, panelists, youth activists and NGO representatives. Collectively, it was a goldmine, bringing together so many different people under one roof (except when the sessions were in area G, because that was at the other end of the planet). Everyone; from young to old, from developed and developing countries, gender and ethnicity disregarded, had the opportunity to participate and voice our opinion, and the thing which truly impressed me was the receptiveness of the people, and they were not shy to say what was on their mind. Of course, not everyone agreed to everything that was said, but everyone respected what was said. There were sessions with great speakers and not so great speakers, but the information available was all rich and useful. Even the observers themselves spoke out, asked questions, argued frugally when needed and discussed opinions. It was one whole body at COP, and no one was left outside the circle. Not the shy last-row observer during the first session, not the easily judged indigenous woman during the second session, not the speaker discussing so openly about things usually hushed in the third session, and, most definitely, not us three young reporters, who formed an inseparable bond during those five days, and who together with our dearest Kristina, represented YRE International for the said week. COP was filled with good people with good intentions, each keen to share knowledge and spread positivity (and, where needed, potential defeatism). I do not have words which sum up my experience- and I am absolutely thrilled that I was the first Maltese person given this opportunity to represent my country at COP. There is nothing which I can use to describe how this week has been for me- except that I feel that it will have an impact on all of my future decisions. I would like to wholeheartedly thank Young Reporters for the Environment International for the opportunity, Ms. Audrey Gauci for being there from day one, our dearest Ms. Kristina Madsen for her patience and much needed help during that week, and my fellow reporters; Lovely from Canada, and Wesley from Singapore. It would not have been possible without you! Looking back, my experience at COP24 has been incredibly memorable. There was nothing I had done in the past or could have done prior to arriving in Katowice to fully prepare myself for the level of activity going on at the conference — there was always a side event going on, an interesting session on the intersection between climate change and one of the many other scourges of humanity being held, a networking event to meet and learn from inspiring activists all over the world and countless interview opportunities as you walk down the numerous hallways around the venue. Yet, even amidst the madness, I find myself having grown so much both as a budding environmental reporter and simply as an informed, global citizen of the world. At the conference, because our party of YRE reporters was constrained to a small number of three individuals, I had no other choice but to be forthcoming in asking extremely distinguished panelists questions about their views. The stresses of the environment also meant that when I did manage to get interviews, I had to conduct them with a discerning mind by asking insightful questions to get the most of the short amount of time we had together. This in my view made the experience at COP24 a lot more meaningful than the capacity building training we had in Lisbon eight months ago as I could not rely on the work of my teammates if I encountered difficulties. In a way, I’d like to think that if you as a journalist survive COP, then that in itself is a huge achievement. In my view, not much else is harder than covering COP as a young reporter for the environment. Finally, the experience at COP24 has undeniably broadened my mind. It has taught me to analyse issues holistically and to avoid using reductionist tendencies like oversimplifying complex problems just for the sake of easy understanding. For instance, I had initially planned to do one article solely on climate change and poverty, and the other solely on climate change and gender equality. Within the first two days of the conference however, it became glaringly apparent that the interactions between such issues cannot be cleanly defined. There is no absolute division between the problems of poverty and access to water; nor between indigenous rights and loss of biodiversity or between health and gender equality. The realities are a lot more complicated than most of us are comfortable with, but this should not intimidate us. Krakow and Katowice now have a special place in my heart, and shout-out to my ridiculously capable groupmates Lovely and Martina for always being there when things got a little too overwhelming. I’d also like to thank Kristina, who was always very supportive in guiding us throughout the four full days. Of course, I am indebted to YRE for giving me this unparalleled opportunity. As I leave Poland today, I do so with a nourished mind, a full heart, and an inspired spirit. 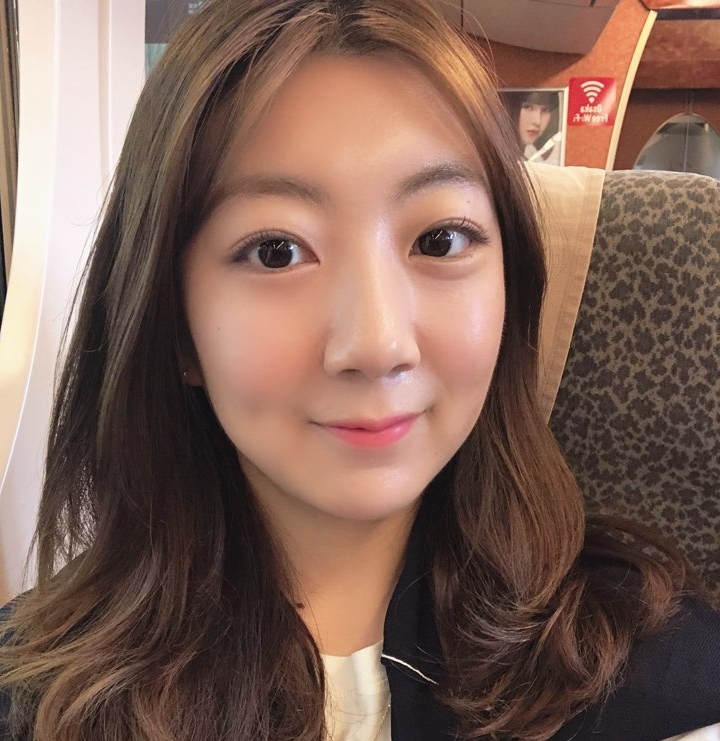 Yoorha Kang from South Korea will travel to Thailand to participate in the inaugural Piece Summit of Emerging Leaders which is taking place in Bangkok from 28th to 30th of November. The conference is organized by Humanitarian Affairs Asia and aims to gather 500 young leaders from different parts of the world and give them an understanding and broader perspective on the vitally important subject of Peace. In addition to being a regular participant in the conference, Yoorha will work as a young reporter preparing an article and a video on specific topics of interests. Her journalistic pieces will be published on YRE Exposure in the beginning of December. She will also be making posts for our social media platforms so remember to follow us on Facebook, Instagram and Twitter. Read more about Yoorha in her short biography below. My name is yoorha Kang from South Korea. I am a graduate student majoring in biomedical science at Seoul National University. Since I was young, I’ve wanted to become a scientist who can devote oneself to prosperity of humanity by prolonging the human’s lifespan and seeking the way to make the world better. I thought that those goals can only be achieved by studying medicine and biology. That’s why I decided to major in biology. However, every spring people in South Korea suffered from microdust. Every morning, people checked the level of microdust in the air via application or news and always carried masks for protecting them from microdust which causes oneself severe diseases in pulmonary or Bronchus. Besides microdust, various environmental problems due to excessive development are happening literally everywhere and this makes me realize that what we are facing now is just the tip of the iceberg and we need to take action before it become deteriorating. Since then my interest in the environment has become bigger and bigger, which finally led me to work for FEE KOREA. I’ve been involved in FEE KOREA over 1 year and now I’m in charge of Eco-Schools Korea and really enjoy what I do. Working in a FEE changes who I am. I was an observer in the past, but now I’m action-oriented person believing what I’m doing really can make our world more sustainable and now I have no doubt that Environment can be a golden key which leads us to a better world that I’ve been dreaming of ever since I was a little girl. This time, I luckily could have a wonderful opportunity to be nominated as representative of YRE and will attend Peace Summit of Emerging Leaders 2018 held in Bangkok. On behalf of YRE international, I want to share our enthusiasm towards environment with other delegates and play the role as a catalyst to improve Sustainable Development Goals (SDGs). The YRE programme is steadily growing and the numbers of countries and active young reporters are higher than ever. We are now a network of over 340,000 youth! The final numbers of the YRE Programme 2017/2018 have been collected and made into the infographic seen below. Feel free to use it for promotion. During the FEE General Assembly on 13-14 September, Gosia Luszczek and Boris Susmak announced the launch of a new set of inspiring lesson plans which have been developed to assist the aims of the Litter Less Campaign. The material will be particularly useful for the 15 countries participating in the Campaign, however, any teacher wishing to educate his/her students on the issue of litter and waste are free to use the resources. After a trial period of one year, the lesson plans will be revised and adjusted based on feedback from schools and National Operators. The lesson plans were created by Centre for Environment Education (CEE India) with support from FEE and the material was sponsored by Wrigley Company Foundation. Three weeks ago, Joanna Tao and Sungyeon Kwon attended the 9th University Scholars Leadership Symposium (USLS) in Bangkok as YRE representatives. During the week-long conference, they attended various sessions, spoke with influential change-makers, increased their networks, and gained knowledge on important topics related to the SDGs. The 9th USLS was well-attended by 1,057 delegates from 87 countries. After the event, the two students wrote four inspiring articles and made a short video, reflecting on some of the sessions and activities that inspired them the most. For example, read about Joanna’s eye-opening meeting with a young Thai girl from a slum community and about Sungeyon’s understanding of the importance and challenges of Comprehensive Sexuality Education around the world. Go to YRE Exposure to read them. It has been four months since the UNESCO Youth Forum / YRE Mission was held in Portugal for 42 inspiring participants. The goal was to build their capacities within Education for Sustainable Development (ESD) and to inspire them to become Youth Leaders and YRE Ambassadors in their respective countries. Based on recent feedback and reports from the participants, the workshop has been a success! Since April, many of the participants have been highly engaged in a variety of events, projects, workshops, and media productions advocating for sustainable development - both independently and in collaboration with YRE National Operators. So far, the participants have managed to host 10 workshops and other educational events, reaching at least 500 people, and even more workshops are being planned. They have created more than 20 articles, blogs, videos and other media productions, reaching at least 8.000 people (see some of the links below). They also continue to collaborate and exchange ideas through the online platform Slack. Last but not least, eight participants were selected to go to the UNESCO "Youth Saves the Planet" conference in Paris. Read more about the event in the article by Joana Pedro and in the blog post by Vinh Le. Adriana and Matej from Slovakia jointly ran a half-day session during a three-day YRE workshop for 30 students aged 11-17 (winners of the YRE competition and the most active reporters) as well as teachers, parents and facilitators. They presented their trip to Portugal and gave an introduction to the SDGs. They also held a small photo competition where the students randomly chose a card with a specific SDG and then had to take a photo reflecting the goal. The photos are shared on the national YRE webpage. Anastasia from Greece organised a three-hour workshop for 15 students at the Panteion University of Social and Political Sciences, International and European Studies Department. During the first part of the workshop, she presented the role of ESD through FEE and HSPN Programmes. She also showed photos and videos from the YRE Mission / UNESCO workshop in Portugal. The second part of the workshop was dedicated to learning about systems thinking, leadership and the interconnection of modern societal/environmental problems. For the final part of the workshop, the students were split into three teams representing three different sectors (Business, NGO, and Government) and were asked to discuss the issue of inequality and come up with ideas of how to fight inequality in each sector. Francis from Ghana organised a step down training for 12 young people involved with YRE Ghana as well as the YRE National Operator. “It was very beautiful to share with my fellow change makers what I learnt from the training workshop. It was a platform where I trained all of the YRE-Ghana team to have the same level of understating on ESD and the Sustainable Development Goals.” He has also helped organise several events about the SDGs and is active in the “Plastic Free Ghana” campaign and the African Youth SDGs Summit. He also got the opportunity to participate in an Ispace Foundation podcast, talking about his experience from the conference and the role of education in achieving the SDGs. It was live streamed on their facebook page while the edited version was sent to the British Council of Ghana. Francis is very active on social media and has reached a huge number of people through his environmental posts and actions. He has also launched the company EasyGo Collection which is using recycled waste fabric to produce conference and laptop bags. Kristijan from Macedonia was invited by the Association of Scouts in Macedonia to organize four workshops within the Youth Academy during the period between 4th-9th April 2018. The workshops were on SDGs topics focusing on: Sustainable Development and the 2030 Agenda of the UN, Gender Equality, and Good Health and Wellbeing. The youth academy gathered 70 youth and 53 youth participated in the workshops lead by Kristijan. The participants were scouts from different regions and cities, with different cultural and socio-economic backgrounds. Martina from Malta gave a presentation to inspire and motivate YREs to continue with their missions, even after the age of 21. During the presentation, she reached approx. 300 students and it was covered by the predominant national news on TV. She also published an article on one of the most prominent newspapers in Malta about her experience in Portugal and she is now the official link and aid of students aspiring to become and continue to be YREs in Malta. Milo from Montenegro did an interview together with the YRE National Operator in Montenegro regarding the activities and impressions from Portugal. The interview is published on the national YRE website as well as a local media station website. They also prepared an interview for the programme "Eko kutak" (Eco corner) which was aired on Radio Kotor. Milo also became a member of the national YRE Jury 2018 and was guest speaker at the annual YRE award ceremony in Montenegro. Nina from Slovenia is planning to carry out an official workshop/seminar in the next school year together with the YRE National Operator as it will be part of the yearly school plan. Nevertheless, she has already organised two custom-made events within her faculty. One was a paper collection action (from which the money was donated to the local Society for the Protection of Animals) and the other was a cleaning action (litter was removed from the faculty and a nearby forest). Around 15 students and a few people of good will participated in each of the actions. In the invitation, as well as at the beginning of the events, Nina introduced YRE and her experiences and impressions of the conference in Portugal. She also invited the participants to become active in YRE Slovenia. Phoenix from China is working as a teaching assistant for a new online course “Global Environmental Education” which is run by Cornell Civic Ecology Lab. Over 400 participants from all over the world are enrolled in the course. She is leading the discussions, organising webinars, doing summaries, and reviewing final projects. She also runs a group of 61 participants who are currently taking or have previously taken Cornell EE courses in Jiangsu Province, China. Vinh from Canada is in the process of creating an NGO for young designers to teach them about the SDGs, empower them to use art and design to bring awareness to the public, and have them adopt sustainable practices within their own lifestyles. He has also taken on the role as admin for the Slack platform. Wesley from Singapore has become highly active as a volunteer for different events such as the 2018 Earth Hour and World Water Day. He has also signed up for the WWF X HSBC Water Education Programme later in August where he will be educating kids and adults at national libraries about how water is vital to building healthy communities. He has also volunteered to edit and proofread a guidebook that WWF Singapore is creating for primary and secondary school students regarding their schools’ carbon footprint. Lastly, he is developing a website that aims to gather volunteers every now and then to go on interesting sustainability field-works in Singapore - after which a journalistic piece will be published by the volunteers.